your own and very powerful thought forms, deities, or spirits - and their functions will be defined by you exactly the way you want them to behave! Click Here to join the Knights of Runes! In fact, his Orgone Generator®, built 1991, was the first machine on this planet, which actually generates life force, or Od, and this gener ator is ideal for any type of magical operation, including rune magic, because with this powerful generator of life force magical operations are no longer dependent on the Od, i.e., life energy, which is generated by humans for this purpose action at a distance or "magic." Therefore, with this exciting new technology, all magic was improved to the max. This compares well to the invention of automobiles, trains, planes and other methods of transportation, which brought a revolution in transportation: much faster, many more possibilities, being able to go to places which were unreachable before, and much more reliable. Of course, still in our days, you still have a choice when travelling long distances: you can use a technological method of transportation or you can use a good pair of shoes or purchase a horse. Therefore it is obvious that the invention of the Orgone Generator® was the beginning of a new era of all known types of action at a distance, including magic with creative energies, i.e., rune magic. This is so, because with the support of massive life force, all action at a distance, or magic, became much more effective, much more powerful and it brought results even in areas, where this was almost impossible before this amazing new technology. Using these generators of Od certainly is a brand new and much more powerful approach to creative energies and Rune magic. Click Here and you can find out more about the scientific principles and science-based methods of creating your own thought forms - deities - spirits - whatever you name it. Life Force Technology Boosted Magic: In fact, this is a Gigantic Step into the Future !!! -- Franz Anton Mesmer built the first accumulator of life force. His word for life force was "animal magnetism." 150 years after Mesmer, Wilhelm Reich built the orgone accumulators, which were more effective in accumulating life force (Chi, Prana, Personal Magnetism - Wilhelm Reich called life force orgone energy - Karl von Reichenbach called it Od) from its surroundings than the barrels of Mesmer, and naturally his theories were more advanced. And then, 1991, came our generators into being. 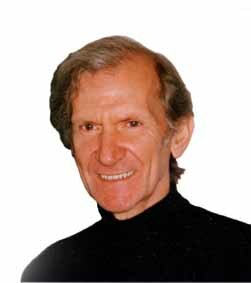 Video Seminars and Courses of introduction into this extremely powerful magic! Using this extremely powerful new combo of life force with creative energies, which you defined and created, means that by now you actually can create your own gods! In fact, those your creations are gods to serve you the way you defined them !!! Links below: Move the mouse pointer over the Rune of your choice - and a window is going to pop up, with a video providing you with a brief description of the creative energy of this Rune. Clicking above the video will lead you to the lesson of this Rune. Get the evidence with this FREE Life Force Transfer Test! Opportunity to join the Knights! email us! No Skype? Whenever you want to know more about Runes simply Click Here to Call us Online, enter our Online Store and Show-Room, and we can answer your questions. "There are more objective realities than living beings in the universe"
This classic of Rune Magic and "folk related" ideas was first published in 1930. Many called it "The Bible of Armanism"! Rune Magic means extreme power for you! It is ancient technology, boosted with modern scientific methods. You can use this extraordinary magic now by harnessing the UR-energies (original energies - think of the Rune UR) of the universe. These energies provide you with your personal gate to the powers of creation !!! Using the creative powers of the Runes for your psychic development and spiritual advancement, you can naturally gain control of love, money, business, sports, status, and of life itself. • You can harness the powers of Runeyoga to control the flow of life force for stamina, endurance, and an abundance of creative mental and physical energy. • The Basic Rune Course leads you on your path to become a Rune Master. • The Rune Reading Course is an introduction to the art of reading the Runes! • The Rune Magic Book - basic information about the Armanen Runes. • The Rune Ceremonial Book - an introduction. I started my studies of Rune magic 1972 while in Berlin, Germany. I have written the Rune courses starting in 1982. In their basic structure, these courses have significant differences to all other approaches to Runic practice of the past, which are totally obsolete, to say the least. This is so, because these my courses are essentially different from all of the the many rather nostalgic present day approaches to Rune lore: I am teaching a system, in which the practitioner uses the 18 Sacred Futhork Runes as creative energies of the universe. It is obvious that the Blavatskian-Theosophical pseudo-pop-historical approach, to which most Rune Masters of the 20th century happily subscribed - and still subscribe, is entirely bankrupt in many respects and, in fact, totally untenable, if not absolutely ridiculous. This became clearly obvious after the total military defeat of the ideological offshoots of that approach, and yet there are people out there who are unwilling - or incapable - of learning the lessons of history. History, biology, archaeology and other modern sciences tell an entirely different story than these ludicrous reveries of the first half of the 20th century about "Atlantis", "root races", "Hyperboreans" or the Hörbiger theories of a hollow world, many of which actually may have originated as an esoteric side-effect, perhaps even a "philosophical justification" of European colonialism: Things to which only a few lunatics and, of course, a couple of "secret lodges" of our era still are subscribing, most of them having obvious theosophical-fascist undercurrents. From the very beginning of my studies on, I have recognized the Runes as being primary abstractions. 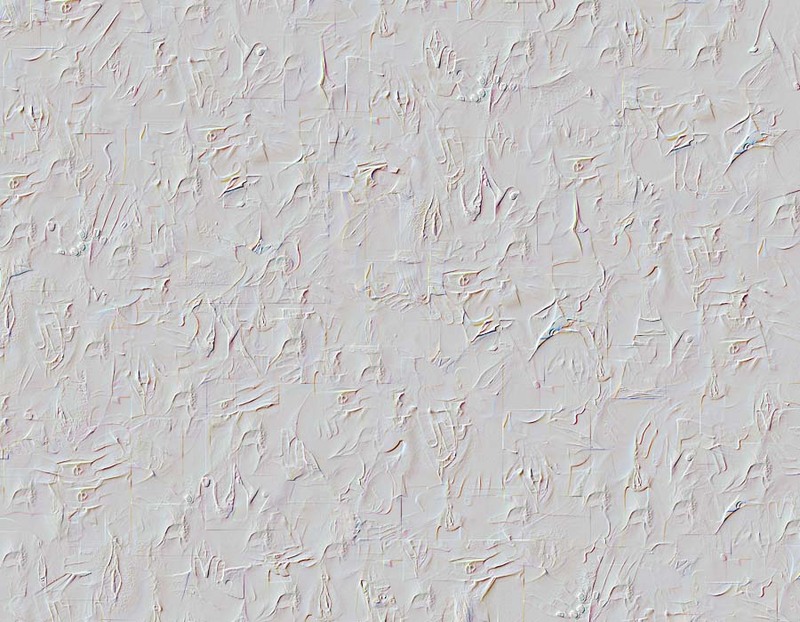 In fact, their simplicity, and at the same time their complex effects, pointed to the fact that these abstractions were of a pre-linguistic, in some situations even non-linguistic characteristic. This means that we can trace back this type of creative interaction with the environment to the earliest origins of humankind, even before language as we know it in our days evolved. Approaching Runes this way, I could no longer treat Runes in the way that practically all authors of the past viewed them: namely as an "inherently Germanic" substitute ("Ersatz?! "), alternative, or replacement, for the magical systems that are based on the Cabbala. This latter opinion has been the approach that has been reverberating throughout all Runic literature that I have studied, and it is so in practically all Runic literature and Runic-religionistic offshoots still in our days. In fact, the simplicity of the Runic approach to magic and the fact that Runes were not as easily to control by some people as were the cabbalistic energies made me aware that there was a dimension to this ancient system that traditional magicians have overlooked - or of which they could not have been aware at all, even if sometimes and unbeknownst to them one or two of their practices included a few elements of this dimension, which is a dimension that reaches far beyond and at the same time deeper than the language-based structures of the Cabbala as it is usually practiced. Having had this experience of Runes, I then decided to approach the Runes as creating and defining energies rather than as created and well-defined ones. 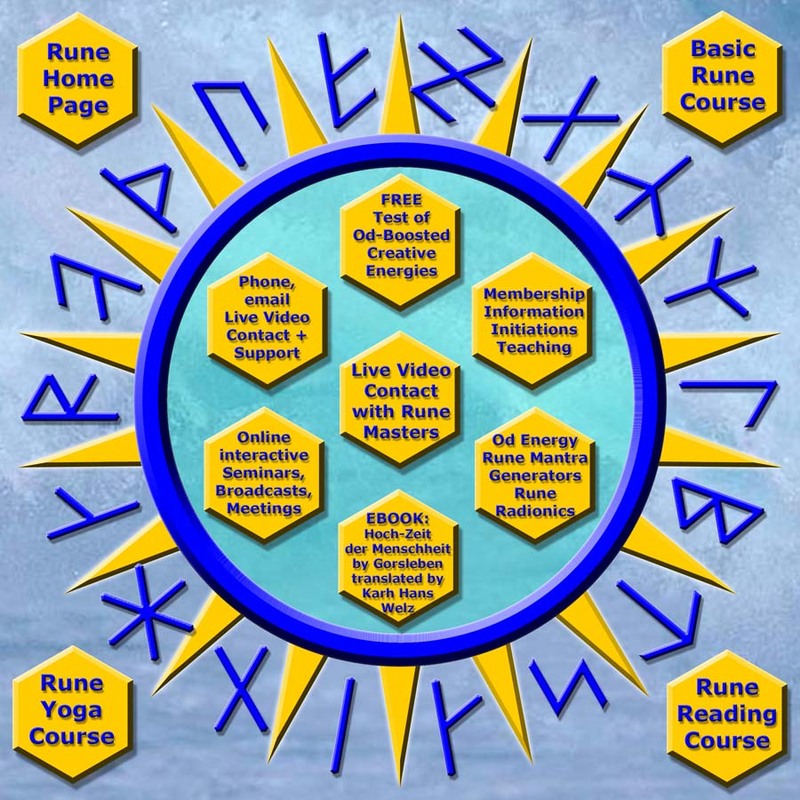 When I established this approach to Runes, which included my introduction, definition and use of the "Rune Realms" (see the Basic Rune Course, inner Rune Realm, outer Rune Realm and Rune Realm of creative energies) they naturally revealed their immense power to me and they did so instantly! In addition to that, they turned out to be relatively easy to control, since I approached them according to their nature: as energies belonging to the realms of creation, as defining energies rather than the typical cabbalistic ones that are well defined. I did not tie the Runes onto the "Procrustes bed" of cabbalistic thinking nor did I force the Runes into the often abused mold of "definitions." Consequently I had easy access to the enormous power of the creative realms. These realms are way beyond the well-defined planetary energies (or entities of the spheres in a Bardonian sense) and, in fact, you can use these creative energies as modifiers of such entities. This became very clear when I evoked Bardonian spirits and other entities inside a Runic circle. The Runes allowed the creation of energy fields (entities) with a power and flexibility that simply cannot appear when we work with the same energies without the impact of a connection to the realms of creation. This entirely new, and yet ancient, approach to Runes is the crux of my courses and the magical practice therein that you are going to study and apply. Nobody before me did such an approach and nobody before me was even aware of this extremely powerful dimension of the Runes. Naturally, I used the 18 Runes that Guido von List introduced. In fact, it did not take much practice to recognize their superiority over all other systems, including those of which their authors, marketers and promoters claim to be "elder" and peddle as such. It certainly is obvious that List was onto something when he had his "revelations", without ever fully realizing just how powerful this system can be. 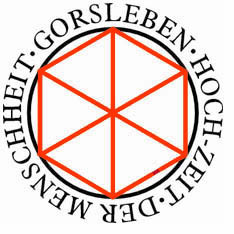 After experiencing the creation-dimension of the Runes (above all the 18 Futhork Runes, i.e., the Armanen System), there is no way that we can speak ever again of a Rune magic besides the known cabbalistic methods or as a substitute of these methods based on Germanic religion. Quite to the contrary, since I introduced this entirely new approach, the Armanen Futhork as I have been teaching them for more than 25 years by now, is a system of creative energies that naturally reaches far beyond the well-defined cabbalistic energies. We can use these qualitatively superior, defining and creating Runic energy fields to achieve our ultimate magical flexibility as human beings, either in conjunction with well-defined energies ("Bardonian entities, cabbalistic spirits", etc.) or independently from them. consequently, I preferred to call these Runes "The 18 Sacred Futhork Runes" right from the beginning, in order to avoid some religionistic and quite often unsavory nostalgias. The far-reaching potential of this new method and new approach became obvious when, at some point (still while writing the lessons of the Basic Rune course under the aspect of this new approach) I evoked a Germanic god with a Rune. Before the god could manifest, the Rune asked me which god I wanted to create! It is obvious that connecting this approach to the Runes with any type or religion, religious nostalgia and the like is simply ludicrous, to say the least. With this in mind, I founded the order of the Knights of Runes in 1984 and I introduced the title "Grand Rune Master," not used before. My wife, she is African American, was instrumental in helping me setting up this organization. Working with advertising in metaphysical magazines, the loosely organized order soon grew to a size of several hundred and many of the students were initiated in to being Rune Masters, including a group in Nigeria and a large group in Japan. The Japanese translation is available at www.akor.cc/japanese/. In all, during the years of its existence, more than 800 persons signed up with the KOR to study the Runes. After my invention of the Chi Generator®, a generator of Od, or life force, and the ensuing technologies, I simply had no longer the time to continue. I stopped advertising for it, and since I never developed hierarchies, the KOR became dormant very soon. However, I put the Rune classes for free on the Internet already in 1993, in connection with other courses that I had written and by now the order of the Knights of runes is active again, very active, click here for more information and to join. Personally I was never into any "folkish" approaches to runes. In fact, the very first person whom I initiated to be a Rune Master in this country was an African American from Los Angeles who came all the way to Atlanta for his initiation, and many more followed suit, including quite a few Rune Masters who are living in several African countries - a very strong is a group in Accra, Ghana. Conversely, I am also very proud of having studied African metaphysical and magical systems myself, as I have started with the Yoruba system already at the time when I first started with my Runic studies. I was living in Berlin at that time (1972 - 74) and I happened to have had a Nigerian friend, a Yourba from Lagos, who was well versed in his traditions, and we exchanged our wisdom of traditional magical systems, i.e., we taught each other and we combined the systems. Runes are for every intelligent being in the universe. And now I am offering the courses together with the Rune Songs to any person who is interested in developing his or her creative energies within and to get in tune with the creative energies of the universe. Rune Magic is a technology, which is open to all human beings and, in fact, to all beings who can gain an advantage of such knowledge. Joining the brotherhood and studying is entirely free, and you can find all relevant materials on this web site and self-initiate. I am going to give some streaming video online tuition to persons who are advanced in their studies. In these streaming video broadcasts I am going to include very advanced methods, including initiations, which are not described in the free Rune courses. To the streaming video broadcasts only persons are invited to participate, who have an open mind and who have advanced sufficiently in their studies. They may or may not want to become members of the Knights of Runes. Again, the approach is universal and beyond any religious or "folkish" dreamscapes. Having done away with religions, ideology-based mythologies and fairy tales at the early age of 13, I simply never wanted to get into any of that shtuff again, no matter what the tradition! On the other hand, I acknowledge that there are more objective realities in the universe than there are living beings, ... quite a few ..., and that's my principle of tolerance, which is based on scientific principles. I prefer the word "acceptance" rather than "tolerance" - the latter implying that "I allow you having your opinion even though you are wrong ...." I know, many followers of religious creeds cannot reciprocate that courtesy, seem incapable of doing so as a result of ideological games forced upon them, and that certainly is their decision, which I respect. From those who want to join and study with me, I am expecting tolerance (acceptance) and courtesy. Respecting someone's decision not to be tolerant does not mean that I want to deal with such a person. Therefore, it is better for such persons to stay away, much better, because alredy at the time when I created this new approach to Runes as creative energies and started the order of the Knights, I have set up the courses in a way that such people will not get much benefit at all from the innovations that I originated, such as the Rune Realms, approach to Runes as creative energies, the title of "Grand Rune Master," etc. Quite to the contratry! Staying away from those built-in energies is a much better choice for such "folks" and followers of "the folk," much better, indeed! I have mentioned this approach in my original brochures of courses and books back in 1984, when I started the order of the Knights of Runes, and I am repeating this here! To join the Knights of Runes and to have help in your progress of studies whenever needed, simply send an e-mail. You do not need to be a member to participate in the life streaming video broadcasts. During these Rune broadcasts, I am setting aside time when I will answer to participants over the phone, by chat, and by live streaming video. As a consequence of the life energy technology that I developed (I have built the first device on this planet that actually generates life energy, i.e., the Chi Generator®, or generator of Od) and the scientific explanation of magic, radionics, and the power of abstractions such as thought forms, gods, sigils, radionic settings, etc. (also a first on this planet, see my course "Magick of the Future"), the power of a Rune magic that is rooted in the realms of creation has increased significantly! A Rune can then become a creative energy, which is continuously powered by life force (Od) coming from your Chi Generator®. You can direct the general effect of the action of this Runic energy and define the outcome of the operation. The Rune (or bind-rune) will then be the ultimate thought-form that works independently and creatively towards the result with an efficiency that the traditional "spirits", "familiars", etc., certainly can never exhibit. When studying the courses, especially the Basic Rune Course, you can become well aware of the tremendous power of the realms of creation that you learn to access with your first lesson. With this awareness, you can then gain the maximum benefit from your studies and you certainly can have the practical experience that helps you to understand and use the tremendous power of this entirely new approach to the Armanen Runes. a Runic musical scale with 18 tones (Copyright© 1985 by Karl Hans Welz - these tones are in the manifestation programs) - Download a composition by Brandon Ross, the Red Masque, with the Runic scale as a basis here! RUNES ARE COSMIC ENERGIES OF CREATION that connect you with the WORLD CRYSTAL. As such, you can see them as the basic elements of A LANGUAGE OF PRIMARY AND PRE-LINGUISTIC ABSTRACTIONS THAT GIVES YOU ACCESS TO THE REALMS OF CREATION. Runes guarantee naturally that you can participate in the eternal and time-less processes of creating, re-creating, and shaping your destinies and your universes. EACH RUNE IS A SWITCH, OR TRIGGER, TO A SEED IDEA OF THE REALMS OF CREATION. Such a seed idea helps you to connect the un-speakable realms of creation with your world. This connection gives you the power to create wherever you wish to! Therefore, to combine Runes means to combine seed ideas expressed in the realms of creation and to practice Runes means to creatively act upon your multiple universes! First, they carry a number that defines their position within the symbolism as a whole. A RUNIC NUMEROLOGY has emerged from this connection. Using this Runic numerology in combination with a RUNIC ASTROLOGY, you can find out which creative energies, or PERSONAL RUNES, exert the most dominant impact upon your present life. Second, each Rune is a symbol. You can draw or visualize this symbol. Each Runic symbol gives you access to the specific power of the Creative Realm it represents. The graphic symbols of the Runes connect with the WORLD CRYSTAL. They are representatives of the creative energies of the world crystal. The symbol of the world crystal is the hexagon with the three inscribed diameters. If you look at a regular quartz crystal from the top you will see this structure. Each Rune fits neatly into this symbol of the world crystal. Next, each Rune naturally connects with a MANTRA, OR WORD OF POWER (words of power, or mantras, are structural links to specific effects, actions or sets of effects). You can use this mantra to bring the power of the corresponding Rune into manifestation. You can use life force technology to generate specific and long-lasting Rune Mantras and to use these mantras for manifestation on all levels. 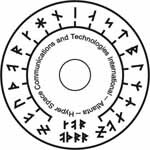 Each Rune and combination of Runes does also connect with SPECIFIC SOUND FREQUENCIES. These frequencies are useful for healing, chakra balancing, and many other "psychic" practices. In the Rune Master Radionics Program, you can make use of these very special Runic sounds with their EIGHTEEN TONES IN THE OCTAVE and you wil naturally learn to cherish them! Creative energy- Trend in the environment - Main trend - Target - Alternate target - Grounding. In addition, it has a position for the transfer of OD. 10 octaves with 18 Rune Tones each! Play the sound of the Rune of your choice and have the PFC 2400 generator of Od vibrate in this exact frequency for this extra super boost of your rune Magic! HAND AND BODY POSTURES of Runes are another way to draw Rune energies. They are the basis for a powerful Rune Yoga. In connection with a Runic Hermetic Medicine, Rune Yoga is a powerful tool for healing on all levels. With a Chi Generator®, you can now give your Runes this extra power that has been achieved never before in history. Go into www.chi-card.com for a free transfer! or www.chitec.us to get life force onto your smartphone. Runes are creative energies. Consequently they act fast and very powerfully. You can trigger them easily. Many of our students have experienced desired results fast, often overnight. Since the Runes represent creative energies, they can help you to overcome negative karma. Unlike many religious belief systems, RUNES ARE LIFE-AFFIRMATIVE. RUNE PRACTICE IS APPLIED METAPHYSICS. With Rune practice, YOU UNFOLD YOUR NATURAL ABILITIES that you have had all your life, but of which you may never have been aware, because there are vested interests, religious ones and others, which are the cause of human beings being "educated out" of skills that all of them have naturally, and this is done at a very young age. Runes allow you to flex your psychic muscle in the same way others may take advantage of their wealth, prestige, or position on the ladder of social success. If you are enjoying this advantage already, Runes can certainly boost your position and help you get still further ahead! Rune Masters believe that EVERY HUMAN BEING HAS A RIGHT TO HAPPINESS, health, peace of mind, prosperity, and abundance. There is enough out there to satisfy everyone. Rune Masters see it as their obligation to help others achieve that to which they are entitled. Rune Masters emphasize that a belief system, or religion, which concerns itself in the main with the IF AND WHEN at the expense of the HERE AND NOW is not worth any serious consideration. If you are unable to control your HERE AND NOW, you have no hope for the IF AND WHEN! The BASIC RUNE COURSE will teach you the means of taking care of your present situations, or challenges, be they emotional, material, mental, or spiritual. Above all, Rune Masters will emphasize practical, hands-on experience. We leave the teaching of lots of dogmas and "secret wisdom lessons," which you are supposed to accept blindly at the expense of direct evidence, to the twisted minds of the templemasters who are presiding over the all-too-many "ancient lodges" of our times. Whenever it is necessary to present you with a theory, we follow the principle to keep it simple! Furthermore, we will never demand that you believe us blindly. In the BASIC RUNE COURSE and in all other courses that I have written (all of them for free), you will find the means of checking for the truth in what you learn. RUNES OR "RUNES"? IT IS EXCLUSIVELY YOUR CHOICE! If you have followed more recent metaphysical trends, you know that there are many schools of Rune thought. Most of these Rune schools have adopted various rune systems that contain 24 symbols and even more. I have no problem with the 24 Runes or the neat idea of 25 runes (Ralph Blum) and I am quite happy that some of the rune groups in existence that follow obsolete doctrines are using these weaker systems. For the serious student of the matter, however, I would like to set a few facts straight. Since Ralph Blum has published his "Book of Runes," the metaphysically inclined public became increasingly interested in Runes. Blum's book was a big success, because it offered a washed down version of Rune practice that was custom tailored to the typical simple-mindedness of the run-off-the-mill New-Ager. Blum certainly deserves a lot of credit for awakening the awareness of Runes ("Rune Stones") in many people who otherwise would have never known of this great system. The success of Ralph Blum's book led to the usual consequences. Publishers hurried to throw on the market book after book. To fill an increasing interest of the public some publishers went even one step further. They contracted professional writers who had nothing but surface knowledge about Runes and whose main skill was concentrated on ripping off the ideas of others. Most of these publications have one common flaw: the self appointed "expert" writers had, like the successful Ralph Blum, no idea of the deeper side of Rune mysteries, let alone true experience or legitimate initiation. All too often students who believed the slogans of such publishers became rapidly disappointed and frustrated, since most of those half baked fakers whose "systems" they studied could not deliver. One American author, Don Tyson and his publisher, Llewellyn, even boasted to be the first on the planet to ever have published Rune cards. Those good folks apparently were totally ignorant of the fact that Karl Spiesberger's book included a deck of Rune cards. Spiesberger's book, with Rune cards, appeared on the German market some 35 years before Llewellyn's "first deck" creation and their ludicrous claim. Spiesberger's book is a classic that even the typical mediocre "expert" of Runes should have known! Perhaps they just lied for marketing purposes. Until quite recently, the Eighteen Sacred Futhork Runes were the main system of Rune practice in Germany. Then several excellent scholars began to search for Rune alphabets that may have predated the Eighteen Sacred Futhork Runes historically and they were developing a system of Rune magic from at leat one of them. This was an interesting venture indeed, especially since the origin of the Armanen Runes is based on insights of one single person, Guido von List. However, what's of an older age is not necessarily more useful, or more powerful. To fully understand the scope of what nonsense some these researchers conjured up, compare this venture with the general progress in technology throughout the ages. In our days, nobody in his or her right mind would use stone axes and live in caves, being convinced that such things are superior to the achievements of modern technology in dealing with the many challenges of modern life, just because such primitive technology is "elder." True, most Runic arrays, even Blum's cooked-up system, are o.k. for divination, for worship of imagined gaseous mammals above the clouds who have horns on their gaseous helmets and the like, and even for some simple magic. What they cannot do is bring you in touch with the deeper sides of Runic wisdom, and even less with the creative realms of the universe. This is so because not a single one of these arrays is a true symbolism. The most important characteristic of a true symbolism is that the position of each symbol in relation to every other symbol is of crucial importance. Consequently, once you know the intrinsic structure of a symbolism and the meaning of one of its symbols, you are naturally capable to precisely establish the meanings of all other symbols. Another important characteristic of a true symbolism is that the energy of the symbolism as a whole is qualitatively and quantitatively superior to the sum total of its individual symbols. Systems that lack these characteristics are, often worthless, arrays of incoherent symbols and not true symbolisms. The Hexagon with the three inscribed diameters: This figure is often referred to as "the world crystal." In this figure, you can easily find every one of the Eighteen Sacred Futhork Runes. Crystal practices with the Eighteen Sacred Futhork Runes are very powerful! Of course, you will look in vain for a structural connection between a crystal and any one of the arrays of 24, 25, or even more "runes." The two Runic zodiacs: The natural zodiac of 16 + 2 basic energies as found in many traditions such as the Wiccan tradition. The other zodiac is the ancient subdivision of the year in 18 sectors of 20 days each. The periodic system of chemical elements. This too connects with the number of the Sacred Futhork, 18. The first period has two elements, hydrogen and helium. The second period has eight elements, and the third period has eight elements. The total of the first three periods is 18. The fourth and fifth periods have 18 elements each! The implications of this cosmic relation are enormous. Again, there is no hope for a Rune alchemy, a Runic homeopathy, and other practices that connect with the vibrations of chemical elements for arrays of 24, 25, or more "runes." From the above follows that the symbolism of the Eighteen Sacred Futhork Runes with its wide ranging correlations is esoterically much more meaningful and naturally more powerful than any of the arrays of Rune alphabets that the many modern day "experts" and Rune gurus describe so exhaustively. Those persons limit themselves stubbornly to the use of Runes for readings and for a few practices of "religious magic" that usually connects with some nostalgia of ancient religion. Usually they see their Runes as symbols that stand for some worldly and spiritual meanings. Others see in the Runes an expression of some ancient gods. 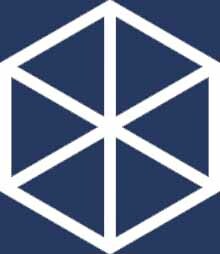 True perhaps, but the fact that Runes reach way beyond the realm of the gods and that they give access to the realms of creation (realms where you can actually define and create your gods) escapes them all together, and so does the tremendous power that is contained in this ancient true symbolism. We know that the ancient Norse religion was the last religious system that included some Rune practice in its belief structures. We know also that Runes cannot be limited to be part of any one religious belief system. Because of their universal esoteric basis (some of which I have shown above) the Eighteen Sacred Futhork Runes are the basis for an esoteric and spiritual technology that can be of use for every intelligent being in the universe. Because of the superior power of this technology, many professional healers, psychics, occultists, and other persons who are in leading positions, are naturally drawn to the Eighteen Sacred Futhork Runes which they consider to be a most valuable asset. This extraordinary program boasts a numeric system with the base 18 on its radionic tuners. The 18, of course, connects with the creative energies of the universe, the Runes. 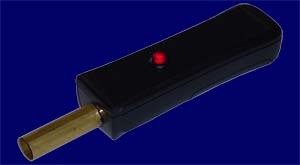 This gives additional power to your radionic setup. 6 stations: Basic action, main target, alternative target, main trend, trend in the environment, and grounding. Runes are the creative energies of the universe. As such, you can use Runes as triggers that give you access to the energies of creation. Therefore the Runes are ideal for Power Radionics™. In fact, using the Rune Numeric System (the RNS is a numeric system with the base 18, and the 18 Futhork Runes are its natural digits) in combination with the Generator of Od (the Chi Generator®, invented by Karl Hans Welz) gives you naturally the most powerful and most flexible radionics devices or radionics programs available at present. Precondition for its proper use, of course, is knowledge of the creative energies, the Runes. This extraordinary technology allows you to provide any magical operation with a continuous supply of life force. Life force is the motor of any magic, or magic work at a distance. The transfer test in our web sites will give you irrefutable proof of this fact. This technology is naturally superior to any traditional method, because there is simply no instance where people can generate life force continuously, no matter what methods they are trying to use. Copyright© 1982, 1993, 2002 by Karl Hans Welz.